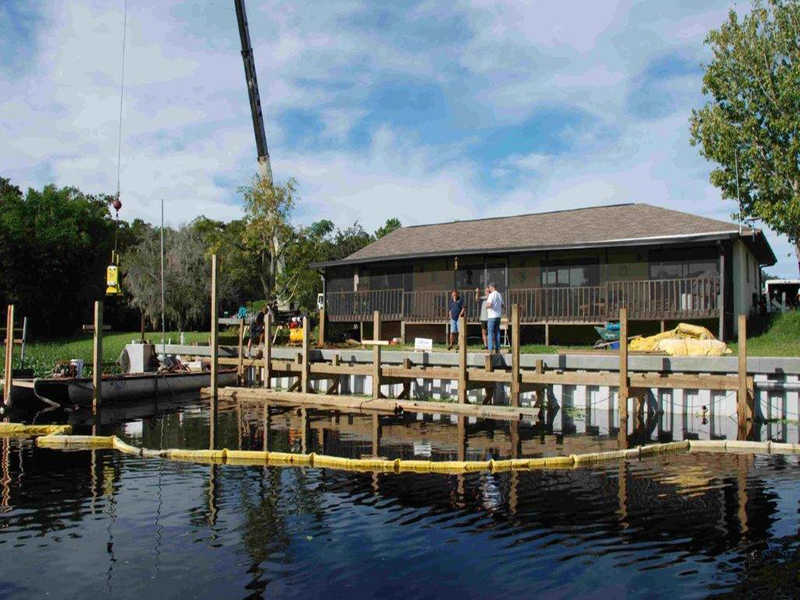 Robert Ray hired Fender Marine Construction after having interviewed several other dock and seawall builders from Central Florida. The seawall also had a boat dock and boathouse added after the seawall was installed. 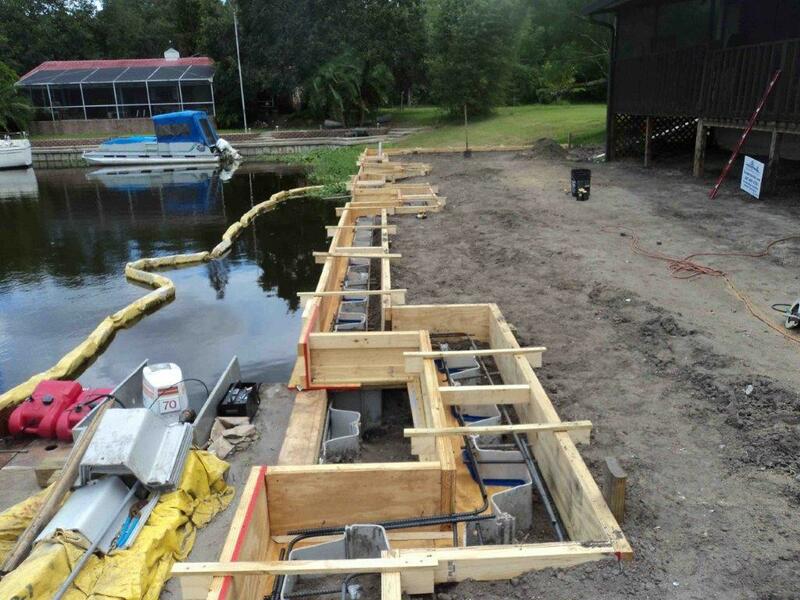 The canal front home in Sanford Florida had a very bad shoreline erosion problem. 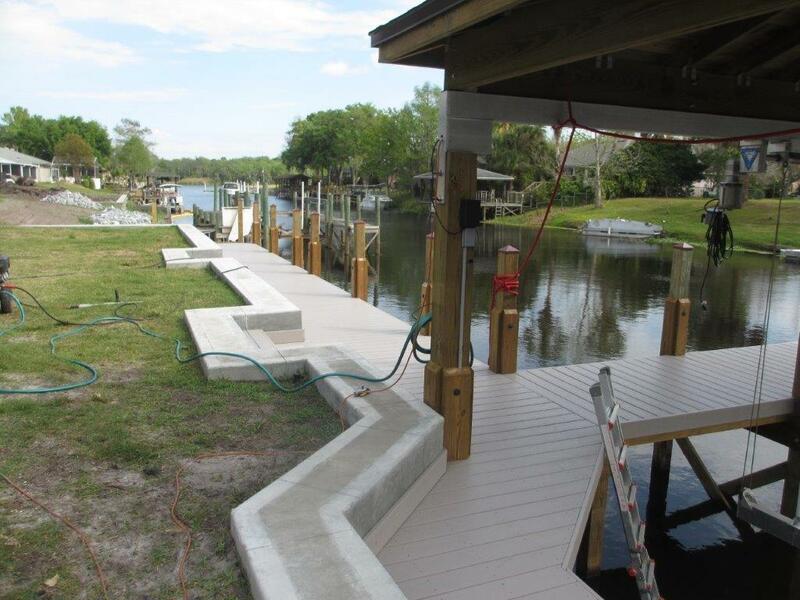 Fender Marine Construction worked with their engineer and permitted this 6’ tall vinyl seawall. The wall was constructed with a “Bullet” type wale member approximately 3.5’ below the formed and poured steel reinforced concrete cap. Several of the neighbors had seawalls built by other seawall builders or marine contractors, but they all failed because they were not engineered or constructed properly. Mr. Ray is one out best references.